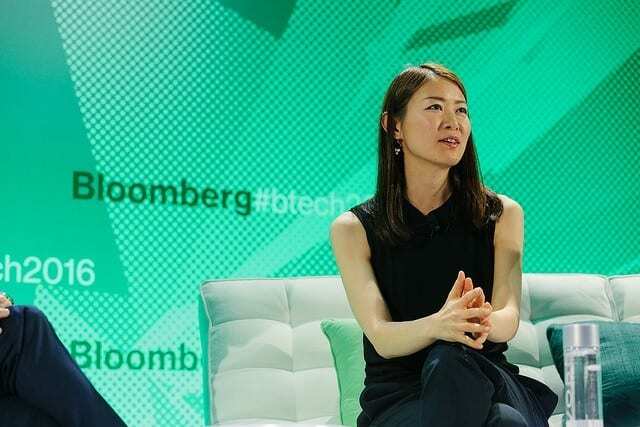 Akiko Naka is founder and chief executive officer of Wantedly, a social-networking service for professionals. Following its official launch in February 2012, Wantedly grew to 1m monthly active users and 20,000 corporates, and has become the leading professional social-networking service in Japan. Prior to founding Wantedly, Ms Naka was a growth co-ordinator at Facebook Japan, where she contributed to marketing and product development for Facebook in Japan. Before joining Facebook, she worked at Goldman Sachs in equity sales. Ms Naka graduated from Kyoto University in 2008 with a BA in economics. We provide a service where users can visit cool offices and meet people working there. In Tokyo, there are currently over 20k postings that you can apply for office visits, and some of the large clients, we have companies like Sony, Nissan Motors, large banks using our service. Something unique about our service is that our postings don’t have any salary or benefits descriptions, so users will find interesting teams purely based on mission and value of the companies. We currently have around 1.2 mil monthly active users. I was working at Facebook Japan as a growth coordinator. I was inspired by the power of real identity social network at Facebook and wanted to build something on my own based on that idea. I didn’t really sacrifice anything. I’ve been doing what I love and feel super lucky to be able to live this way. We are more of a bootstrapped company, thus didn’t need much funding. So we only have raised about 4.5 mil USD overall in the past, mostly for strategic reasons. We have funding from prominent angel investors, as well as Cyber Agent and Nikkei News Corporation. 6. How do you go about marketing your business? We haven’t been spend much marketing budget in the past, but we had many media coverage as we have strong mission in our business, where we want to create a world where works meets passion. I don’t really remember the first sales, as sales hasn’t been our first priority. We always values number of users using our service. I come into office around 9:30am and typical day varies depends on a date. On Monday and Tuesday, have up to five, six meetings. Later half of the week I try to spare my time to do thinking. I see an organisation as a big ship and most of the member is focusing on moving the boat forward. But there needs to be someone who climb to the top of the ship and pay attention to what’s coming before us (not to hit an iceberg! ), and to guide which direction we should head at. I think my job is to do that. To think about tomorrow, not today. To do so, you need to secure a decent time. Everyday is my proudest moment. I like seeing numbers change on Google real time analytics, where I can see how many people are visiting our service at this very moment. Feeling that we are creating a huge impact on the society is when I’m really proud of. We went through a consecutive hiring mistakes in the early stage, where it led to a very negative atmosphere in the office. That was surely my lowest and the hardest period of my journey at Wantedly. Surely Steve Jobs was the biggest influence. I like he’s taste, and the fact he’s taste brought our species to the higher level. 12. If you could go back in time to speak to your 20-year-old self, what would you tell her? Mmm, I don’t remember any bad advice. I’m focusing on expanding Wantedly in South East Asia to help small but very visionary startups find talented people and eventually hire them to realise their missions. I also believe Wantedly will help young aspiring talents in SEA find their dream team as well, and enable them to do what they love for their jobs. And I think the most important milestone will be the launch in Singapore, which will take place on the 2nd of March this year at Red Dot Traffic Building! Have a decent sleep, secure a decent amount of time to think about tomorrow, not today. Gmail, Evernote, Wantedly Chat, LINE. Keen to connect with Akiko?